The death occurred, suddenly, at his home on Monday, March 18 of Niall O'Hara, Muckerstaff, Granard, Longford. Predeceased by his grandfather Johnny. Sadly missed by his heartbroken parents Johanna and John, his brothers Oisín and Liam, grandparents Anne O’Hara (Muckerstaff), Roseleen and Matthew Gorman (Monaghan), uncles, aunts, cousins, relatives and his wide circle of friends and team mates. May He Rest In Peace. Reposing at his home on Wednesday, March 20 from 1pm to 9pm. Removal to St Mary’s Church, Granard on Thursday morning, March 21 for Funeral Mass at 11am followed by interment in Granardkill Cemetery. House private at all other times, please. Shuttle bus will operate from Kiernan Milling, Ballinalee Road, Granard to the wake house on Wednesday, March 20. The death occurred on Monday, March 18 of Edward (Ned) Early, Boherquill, Lismacaffrey, Westmeath/ Longford, died peacefully surrounded by his family and in the loving care of the Nurse's and Staff of Cluain Lir nursing home Mullingar. Deeply regretted by his sisters Rosemary (Cis) Doherty, Mullingar and Maureen Whyte, Ardagh, nephews, nieces, grand nephews, grand nieces and great-grandnephews. Reposing at St Mary's church, Cluain Lir, Mullingar on Wednesday, March 20 from 4pm with prayers at 6pm followed by removal to St Mary’s church Boherquill to arrive at 7pm. Funeral mass on Thursday, March 21 at 12 noon with burial afterwards in adjoining cemetery. The death occurred, peacefully, in the loving care of the staff at the Sacred Heart Home, Roscommon, on Tuesday, March 19 of Annie Coyle (nee Wallace), Weekfield, Roscommon. Beloved wife of the late Jimmy and sister of the late Pakie. She will be very sadly missed by her sons James, Michael, Paul and Patrick, sister Beetie, sister-in-law May, daughters-in-law, grandchildren, nieces, nephews, relatives, neighbours and friends. May her gentle soul rest in peace. 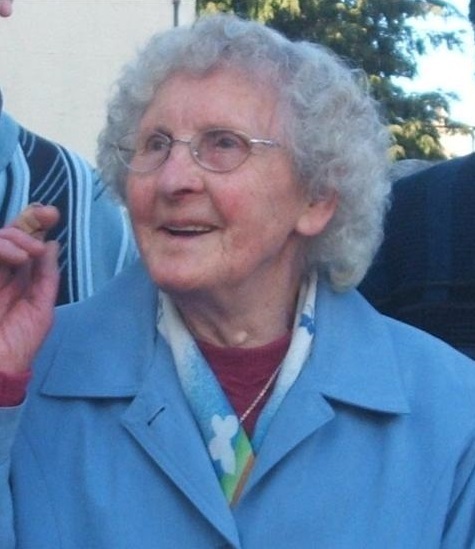 Reposing at her home in Weekfield (eircode F42 RV10) on Wednesday, March 20 from 4pm until 7pm followed by removal to the Church of the Holy Rosary, Ballyleague. Mass of the Resurrection on Thursday, March 21 at 12 noon. Burial afterwards in Kilteevan Cemetery. The death occurred, peacefully, surrounded by his loving family on Monday, March 18 of Patrick Kelly, Cappagh, Ballinalack, Co Westmeath and formerly of Cathedral View, Mullingar. Predeceased by his son, James. Patrick will be very sadly missed by his beloved wife Margaret, daughters Mary, Anne and Philomena, grandchildren Katie, Ella, Rachel, James, and Adam, sons-in-law David (Kirby), Michael and John, brothers-in-law, relatives and many friends. May Patrick rest in peace. Removal to arrive at 8pm on Wednesday, March 20 at St Mary’s Church, Rathowen, Co Westmeath. Funeral Mass on Thursday, March 21 at 2pm followed by burial in Russagh Cemetery, Rathowen. The death occurred, after a brief illness bravely borne, on Monday, March 18 of Mary Ellen Oakes (nee Corrigan) Bishopsgate Street, Mullingar, (and late of Mooretown, Castlepollard). Predeceased by her husband Ernie, her sons Brendan and Frank, her brothers Paddy and Bill. She will be sadly missed by her loving family Fergus, Ann (McGrath), Kevin, Gerry and Helen (Browne), her daughters-in-law Angela and Kathleen, sons-in-law John and Michael, grandchildren, great-grandchildren, nephews, nieces, relatives and friends. May her gentle soul rest in peace. Funeral Mass on Thursday, March 21 in the Cathedral of Christ the King at 10am followed by cremation in Lakelands Crematorium, Cavan. Family flowers only please.